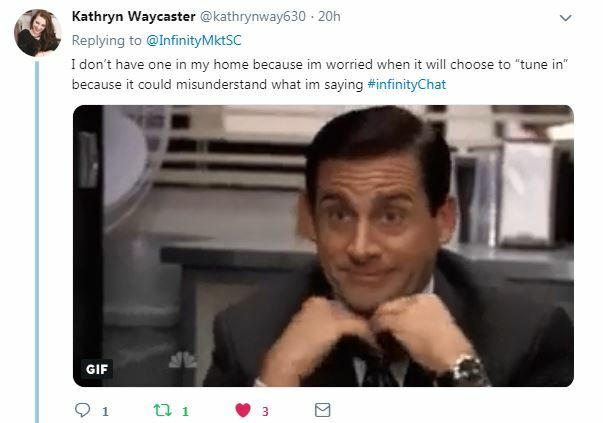 This month’s #InfinityChat focused on the use of smart speakers, from the convenience that they bring to our daily to routine to the concerns that we have about them in regards to our privacy. We have some highlights from the conversation below! Our audience took a vote and determined that Alexa was their go-to voice cammand device that they use on a day-to-day basis with Google Home following closely behind. People that responded said that they range from using their smart speakers multiple times throughout the day to a couple of times a week. Uses of smart speakers from our audience included checking the weather, listening to music, or looking up information in an instant. 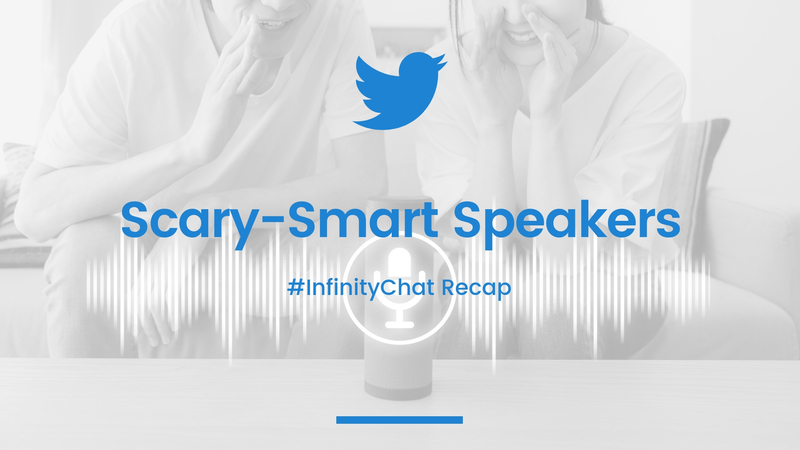 Smart speakers have been known to have some pretty hilarious fails, and a few team members from Infinity shared experiences from using Alexa and Siri. Having smart speakers in your home or connected to a hand-held device can raise some concerns. Here are some insights on what our audience had when it comes to privacy and home assistants. From giving us the ability to respond to a text message without taking our eyes off the road to tuning an instrument, we determined that the helpful hacks from smart speakers are abundant. 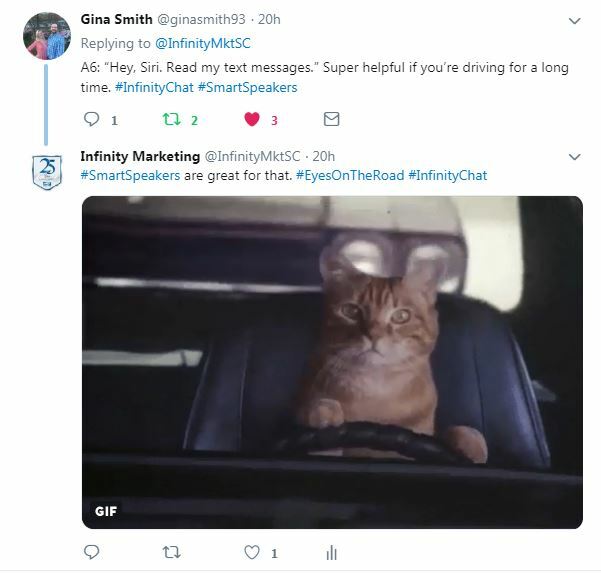 Follow us on Twitter at @infinity_mkt for our monthly #InfinityChat on the third Thursday of each month from 3 PM to 4 PM!